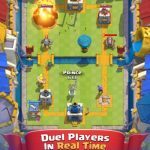 We’ve been covering Supercell’s Clash Royale from time to time over the past few weeks, and in case this is the first time you’re checking out our tips for the game, let’s give you a quick backgrounder of what it’s all about. 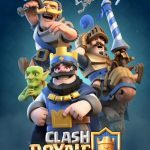 This is a real-time MOBA/card battle game that features all your favorites from Clash of Clans, as well as the all-new (for this game) Royales. 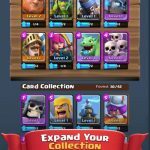 You can collect and upgrade cards that feature Clash troops, spells, and defenses, as you defeat opponent after opponent after opponent, picking up Trophies, Crowns, and more, and collecting more currency. As you know, gems are the premium currency in Clash Royale, and should be spent wisely. But just how do you spend those gems wisely? What should you do, and what should you not do? 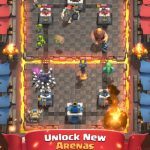 We’ve got some tips that can help you with that, so without further ado, we now bring you are newest Clash Royale strategy guide, this time focusing on how to spend your gems. It might sound like a counterproductive thing to do – why would you use your premium currency to buy common currency? It’s actually a good idea to do that, and we would indeed recommend that you convert your gems into gold. With the gold you get from your gems, you can head to the in-game shop and buy rare cards, or even Epic cards. If all fails, you can always use your gold to buy common cards that are still more powerful than the ones you currently have. It’s a win-win situation, even if it doesn’t sound that way for those who have just started playing. While you can use your gems to purchase new chests, it’s going to cost you a lot of them. What you might want to consider instead is using your gems to open those chests you’ve previously retrieved in battle. It might not make much sense at first, but it’s essentially the same as getting a chest on the cheap. Here’s a simple example – a Giant Chest will cost you 72 gems to unlock if you win it in a battle. But if you buy that chest at the in-app store, it’s going to cost you close as little as 210 gems, or as much as 490 gems. Either way, you’re getting a big discount this way. Now, you may still be tempted to buy a new chest with the gems you have. But what chest, in specific, should you spring for? We recommend buying the Super Magical Chest. It’s going to cost you a whole lot of gems, but at least you get a guarantee that you’ll be getting a ton of rares and Epics. These chests also give you the best chance of getting a Legendary card – that’s what the game calls the rarest of the rare, the hardest cards to find in Clash Royale. These would be our quick tips on how to spend your gems in Clash Royale. Know more hints on how to spend your gems? If so, don’t hesitate to let us know by commenting below!